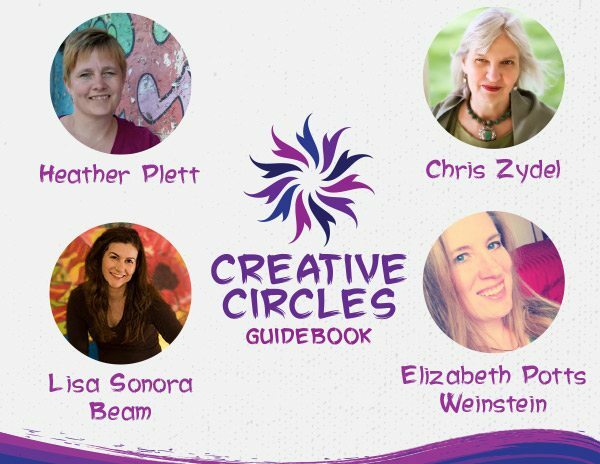 18 Jan Creative Circles Guidebook Is On Sale! January has been buzzing with excitement! 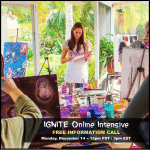 First, on Thursday, my IGNITE Online Intensive began for the year and I have been swooning with honor over the heart-centered circle of women that have answered the call and are ready to dive deep. This year’s circle is made up of a rich diversity of backgrounds, experiences, ages, and creative interests — one of the women is even a rocket scientist — how wild is that!?!?!! On top of this blessing, my week long IGNITE In-Person Immersion that I’ll be hosting in Camano Island, Washington for IGNITE alumni only SOLD OUT!!! Oh. My. Gawd. I am over the moon ridiculously happy about this one! 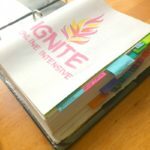 The last time I hosted the IGNITE In-Person Immersion was back in 2013 in Sedona, Arizona — and seriously — you have no idea how great it feels to be welcoming this program back into my life! It is made of pure magic! But you see, this is one of the BIG things I realized while I was on my own personal painting retreat recently — it’s time to gather the women again! As I shared with you a couple weeks ago HERE, for the last few years I’ve stepped away from teaching a bit to attend to the challenges in my life and be fully present for my family. But now I am blessed to say that life is feeling much more balanced and spacious — and my heart is singing more loudly than ever that it’s time! Though what warms my Soul is that I know my heart is not singing alone. 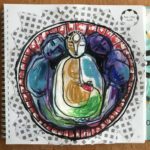 There is a whole choir of creative hearts that are longing to gather the women and share the healing powers of art and creativity with others. So let’s do this together! Ok? Now until February 1st you can purchase my Creative Circles Guidebook for $40 — that’s a savings of 18 buck-a-roos!!! 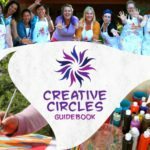 The Creative Circles Guidebook is a must-have resource for anyone wishing to start their own Creative Circles — or even artists that are looking for a fresh perspective on how to deepen their circles. In this 44 page downloadable eBook you will receive inspiring essays, supportive worksheets, lists of resources, and four audio recordings with special guests Chris Zydel, Heather Plett, Lisa Sonora, and Elizabeth Potts Weinstein. Each expert generously shares their practical and mystical secrets behind creating successful creative circles for decades. 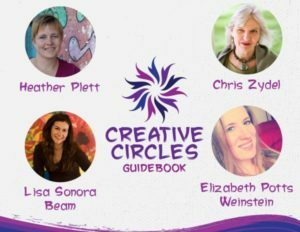 I intentionally created the Creative Circles Guidebook to help YOU feel prepared and empowered to do the sacred work your heart is calling you to do. So grab your copy now! This sale ends February 1st.